Do you want to learn how to draw Chester (one of Timmy Turner’s friends) from the Fairly Odd Parents? I have put together a step-by-step tutorial that will help you figure out how to draw Chester by using simple shapes to build up Chester’s form. This is an intermediate cartooning tutorial that kids, teens, and adults will enjoy. Even some younger children might be able to draw Chester if you stand by to help with the instructions. Enjoy! 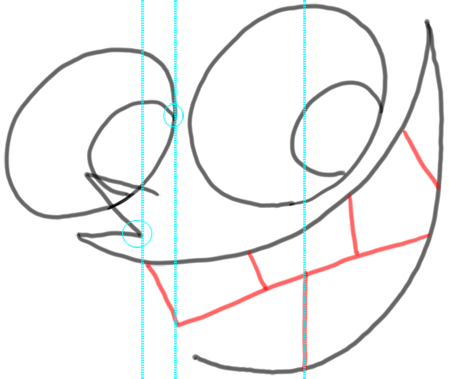 The above picture of a cartoon Chester from Fairly Odd Parents is what we will be drawing step by step today. Find this drawing tutorial below. Get out a piece of paper, a pencil, and a black marker. Good luck. First draw 2 ovals for the eyes. The one on the right should be bigger than the one on the left. 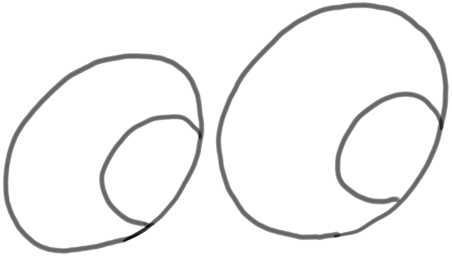 Now draw 2 smaller ovals on the left side of each oval. 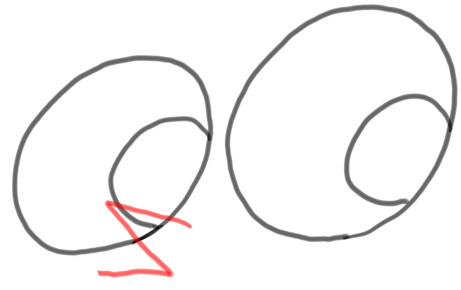 Now draw a backwards letter ‘z’ shape for Chester’s nose. Draw it underneath the smaller eye. Now draw the top of Chester’s mouth. 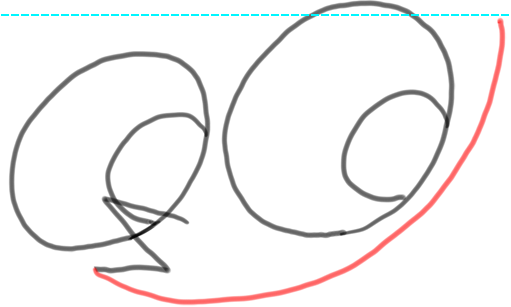 Don’t draw the blue line, it is there to show you where to stop the mouth (slightly under the top of the right eye). Now we will draw the bottom part of Chester’s mouth. The blue line is there to show you that the bottom part of the mouth ends at about the same point that the left side of the right eye appears. 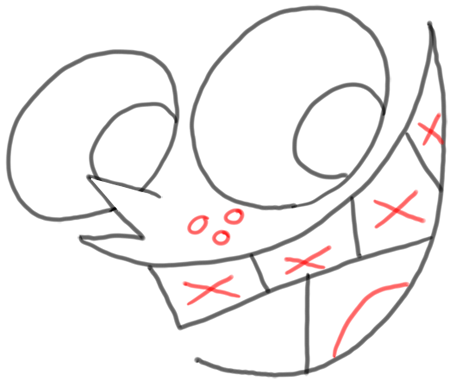 Now lets draw Chester’s teeth. The blue lines are to show you placement of the teeth. 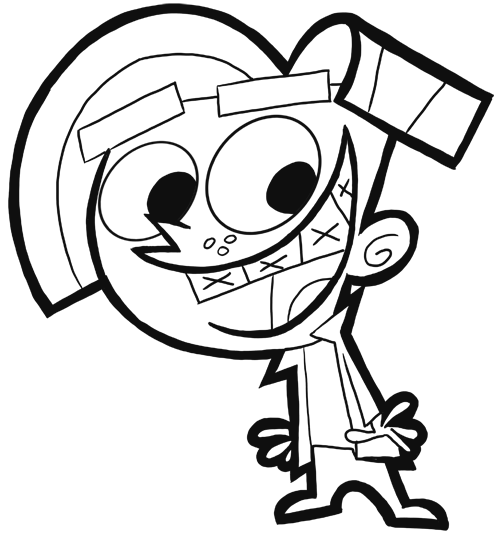 Chester has freckles and braces, so lets draw them in there. Draw a letter ‘x’ on each of Chester’s teeth. Rigth above the mouth draw a few little circles for freckles. 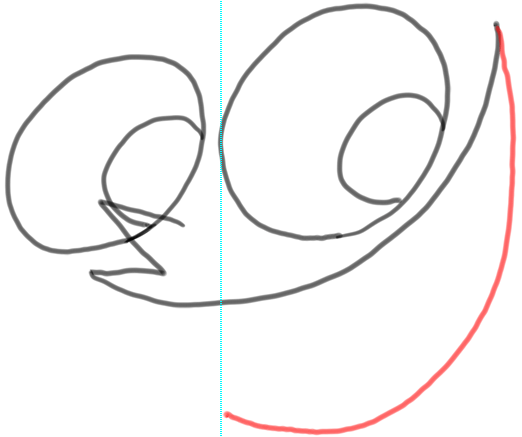 And also draw a downwards curved line for Chester’s tongue.